Samsung has just unveiled that registration for TDC 2017 is now open, also unveiling that the event is scheduled to take place in San Francisco, between May 16 and May 17. The location chosen is the Hilton Union Square Hotel. Although Tizen handsets are not very popular in most markets, Samsung continues to support this platform. 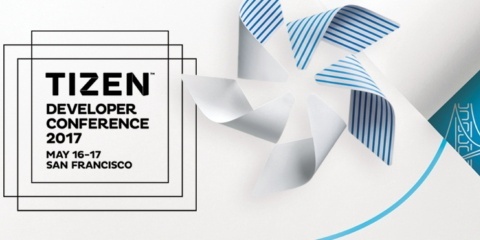 The South Korean giant is a key member of the Tizen Project and the main sponsor of the annual Tizen Developer Conference. This year's edition is the fifth one so far and the registration period has just begun. According to Samsung, "The event will be held from May 16 to May 17 at Hilton Union Square Hotel in San Francisco." The headline of this edition is "Ready to Connect! Get Involved!" and we expect the event to focus on IoT. Samsung confirms that TDC 2017 will include "a series of technical presentation" and "it will also emphasize how Tizen can enhance IoT devices through a hands-on lab and various showcases." The official TDC 2017 website allows anyone to register, offering Early Bird registration savings until April 14. While students who verify their academic status upon arrival can access the event for free, the others should pay $49 USD until April 14, $99 USD between April 15 and May 15, or could just pay onsite, but in this case they would have to spend $150 USD.